DOUGLAS, ISLE OF MAN, March 14, 2018 /EINPresswire.com/ -- 14 March 2018, Isle of Man /cryptocoremedia.com/- The EARTH Token team is pleased to announce that they have received listing confirmation from CoinHub.io, a digital currency exchange hub that is very selective on the projects they support. 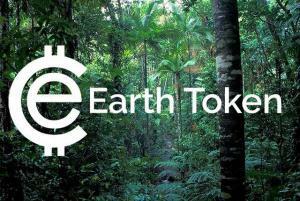 The date of the listing will be decided and announced after the conclusion of the official EARTH Token ICO sale which ends on Thursday 15th March 2018 12:00 GMT. “We are very pleased with CoinHub’s decision to list EARTH Token on their digital currency exchange hub alongside 30 other cryptocurrencies. This means that EARTH Token holders can gain access to a convertible liquidity pool to trade EARTH Tokens.” - Allan Saunders - Managing Director, impactChoice Isle of Man. “Anyone that signs up with CoinHub will be able to buy EARTH Tokens, including demand-side companies, communities, organizations and individuals that want to gain access to the native token on our Natural Asset Exchange (NAE). This listing also offers new users the chance to buy EARTH Token after the sale ends.” he continued. impactChoice is a leading provider of environmental sustainability solutions. The impactChoice Natural Asset Exchange (NAE) blockchain platform and EARTH Token (EARTH) creates a unique opportunity to invigorate the Natural Asset Market and enable all stakeholders in the value chain to participate. Transforming Environmental Sustainability from a financial burden to a business incentive by finally providing all contributors with tangible assets that will appreciate in value as the market grows - allowing the market to grow organically and achieve its massive potential.